Some call it a destination wedding. We call it a vacation wedding. Because Panama City Beach weddings don&apos;t just give you the most magical day of your life, they also give your guests a vacation they&apos;ll never forget. You&apos;ve found your perfect match. What more do you need for the perfect wedding? Location, location, location. 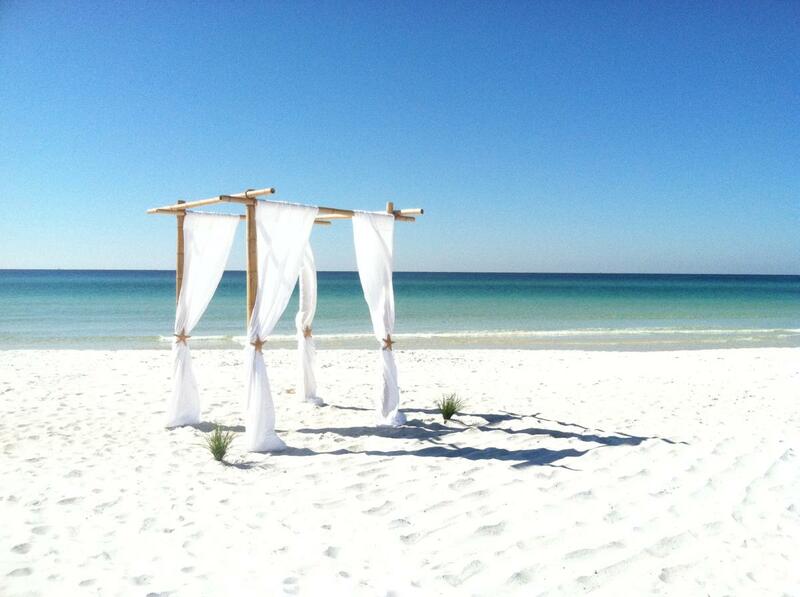 Planning weddings in Panama City Beach means 320 days of sunshine a year to choose from, 74 degrees on average. It means Southern hospitality, where small-town charm meets big fun, whether it&apos;s group parasailing or girls&apos; night out for wine bars and karaoke. And best of all, it means beaches. Clean, pure, crystal-white sand washed down from the Appalachian Mountains and polished smooth by the Gulf of Mexico over centuries - beaches recognized as some of the best worldwide. Planning a wedding is a tough job, and no one should go it alone! 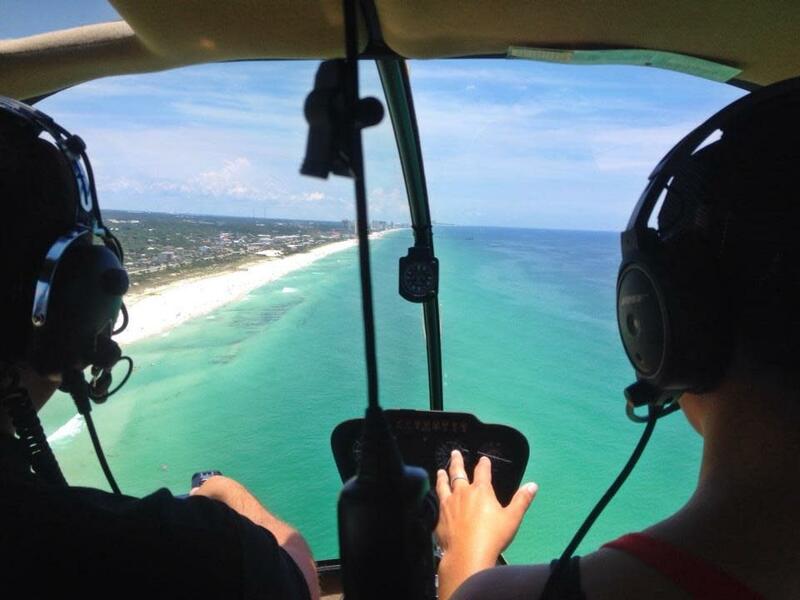 Wedding planners in Panama City Beach offer years of experience creating packages that give couples the storybook weddings they&apos;ve always imagined. The Panama City Beach CVB can also help your family and friends with great places to stay, provide welcome packages and even suggest itineraries for you and your guests, making sure "I do" is just the beginning of an experience you and your guests will treasure forever. Shouldn&apos;t every marriage ceremony include a chance to swim with dolphins?! With weddings in Panama City Beach, you&apos;re the main attraction, but you&apos;ve got some serious competition before and after the vows! Your guests may not even want to leave the beaches (they wouldn&apos;t be the first!) but once they do, they may not make it back: Helicopter tours, airboat rides, shopping at Pier Park, tons of fun at Ripley&apos;s Believe It or Not or Shipwreck Island and more give even the best beaches a run for their money. His mom and dad like to camp. Uncles Ron and Gary have a strict resorts-only policy. Your bridesmaids are here for a week, and you&apos;d like all of you under one roof. No problem, no problem, no problem. With more than 21,000 options for hotels, motels and condos, amazing vacation rentals all through the city and right on the beach, plus beach camping and RV parks, cross "finding everyone a place to stay" off your worry list. We&apos;ve got you covered! You can be sure that everything related to paperwork and officiating is readily available for you to access to make sure your wedding runs as smoothly as possible. Click here for marriage license information.